On the left, it is my opinion that anti-Semitism’s roots stem from the extreme and, in my opinion, incorrect belief that all people who are less well off, especially in the developed world, are less well off because they are oppressed. Sorry, but in the developed world many/most people who are less well off are that way because of bad decisions like dropping out of school. On the right (think the neo-Nazi faction of the right, like the POS who shot up a Pittsburgh synagogue; pretty sure he’s not a Bernie Sanders supporter), I believe anti-Semitism’s roots stem from the narrow minded hate of people who are unlike them. That hate manifests itself in a belief that those unlike them who are successful must be evil because, to them, it’s just not possible that their success is a result of skill and work ethic. I realize that I will not convince anyone to modify their views or even to re-examine their positions. I acknowledge that I do not possess a monopoly on truth or wisdom. No one else does, either. The political spectrum is two-dimensional, at most. The real world is three-dimensional, at least. Do the math. Many times in the nearly 20 years we’ve been married I have asked my wonderful wife, “Why did you marry me?” I am only half-kidding when I ask. She is the kindest, cutest, sweetest and most wonderful person in the world. I am not close to being any of those things. I LOVE YOU, V Squared!!! The picture comes from this ClassicCars.com article about Ford and Mecum Auctions reaching a deal on the consignment of the new Ford GT. Wrestler/actor John Cena sold his Ford GT, despite signing an agreement that he would not do so for a period of two years after purchase, for far more than he had paid for it. (Ford sued Cena and the two parties reached an agreement where Cena would pay Ford an undisclosed sum.) Subsequently, Mecum sold a Ford GT at its Indianapolis auction in 2018. The car hammered for $1.85 million. The Mecum car was not the Cena car nor was it consigned by the original owner. 1.) Mecum will not accept for consignment sale any Ford GT owned by its original purchaser which is still subject to the two-year sales moratorium. 2.) 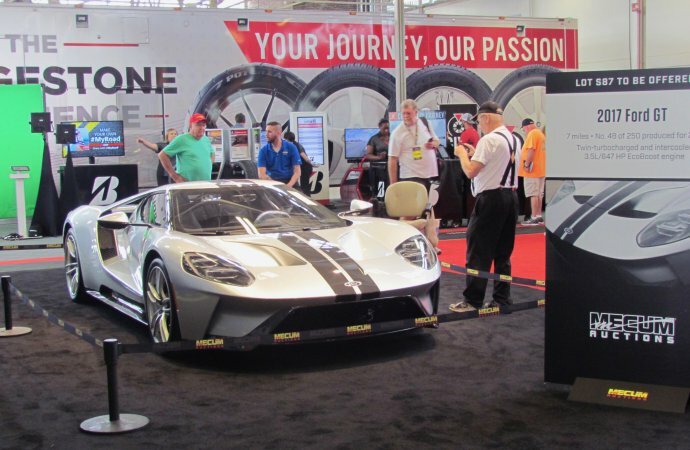 Mecum will consult with Ford regarding any Ford GT consigned with Mecum by any downstream purchaser (i.e., not that GT’s original purchaser) for the first two years following the GT’s initial sale to the original purchaser, and will not permit the auction sale of that GT during that time without Ford’s consent. 3.) Mecum will make a charitable contribution to the Ford Motor Company Fund. Mecum did not admit any wrongdoing. An obvious conclusion for me is that Ford is not charging enough for the GT. I have a long-time friend who is a very gifted artist. When we first met in the mid-1980s she was struggling to make a living. During a conversation she said she might have to lower the prices of her work. I suggested that, instead, she raise the prices which would make her paintings appeal to a certain segment of the market. The strategy worked and about a year later she received a six-figure commission from a prominent local university to produce some paintings. Companies are under no obligation to make their goods or services affordable for everybody. The Ford GT is more than a halo car and, as such, is supposed to be owned only by those of means. My wonderful wife and I are not poor, but we can’t afford one. However, we do not resent those who can. Once again I want to express my gratitude to all of those who visited Disaffected Musings yesterday and generated yet another daily record for views and visitors. I especially want to thank all of the readers from Hemmings, Car and Driver and Corvette Forum. Unless the new record is a completely incongruous one I probably won’t mention this again. From pistonheads.com a picture of the iconic Aston Martin DB5. Of course the “DB” in Aston Martin cars are the initials of David Brown who owned and ran Aston Martin from 1947 to 1977. Brown, who was managing his grandfather’s successful gear and machine tool business, saw an ad in a newspaper that a “High Class Motor Business” was for sale. Having a long-time interest in cars Brown investigated and discovered that the company was Aston Martin. After a few months of negotiations the sale was completed in early 1947. I believe Brown remained active in the company until the British government nationalized the warship building division in 1977. He was so disgusted that he moved to Monaco and lived there for the rest of his life. He sold his shares in the David Brown Corporation in 1990. Wealth has always been mobile and is even more so in the 21st century. When governments become hostile to wealthy people, those people will “vote” with their feet. Resentment and envy of people who are wealthier than you is not a sound basis for public policy. Of course the DB5 is probably the most famous car from the James Bond movies. The first movie in which it appeared was Goldfinger, which was released in 1964. I was surprised to learn that only about 1,000 DB5s were produced and that the production run was short, only about two years (1963-1965). It should not come as a surprise that the body was designed by an Italian coachbuilder, Carrozzeria Touring Superleggera. The DB5 was powered by a double overhead cam inline six-cylinder engine of 4-liter displacement (244 cubic inches) that was rated at 282 HP/280 LB-FT. The standard transmission was a ZF 5-speed manual, but the DB5 was also available with a 3-speed automatic by Borg-Warner. My wonderful wife’s father is a big fan of the James Bond movies. Absolutely no disrespect intended, but I have never been a fan of the terms father-in-law or mother-in-law so I don’t use them. One reason I posted about the DB5 today was this recent article on CNBC. In it the CEO of Aston Martin, Andy Palmer, stated his beliefs that auto engineers, and not politicians, should be allowed to fix the auto pollution problem and that the traditional gasoline engine will be around for a long time. Of course he also mentioned that Aston Martin was developing electric/hybrid drive systems and would be introducing two models driven by such systems within the next three years. How much will the electric/hybrid Aston Martins resemble this modern DB? From Aston Martin’s website a picture of a DB11. My wonderful wife’s Ultimate Garage (I haven’t forgotten about that concept) would definitely contain at least one Aston Martin. The company suffered a great deal as a result of the major economic slowdown that began in 2008. In that year total company sales exceeded 5,000 cars and didn’t reach that level again until 2017. Much talk among those with an interest in the automobile industry centers around whether or not Aston Martin can remain independent and survive. European sales have not recovered to pre-crisis levels as Aston Martin sold about 4,000 cars in Europe in 2007 and even with a healthy rebound in 2017 that figure was just 2,500. I think it would be a shame if Aston Martin were to disappear. The company, bolstered by the rebound of 2017 I suppose, became publicly traded just last month (October, 2018). According to this BBC article about the IPO Aston Martin “has gone bust seven times in 105 years.” That history casts a long shadow over the future of the company, unfortunately. The first reader of Disaffected Musings today was an apparent Packard fan from New Zealand. Welcome! Welcome to all Kiwis! While I always welcome thoughtful comments from readers no matter their location I would very much like to read comments from those of you reading outside of the US. What type of cars do you like? What would your Ultimate Garage look like? In general, what are your views of the US? How many times have you visited the US? When I was much younger this time of year usually represented the beginning of the new model year for automobiles. Ads would appear in great numbers on TV and in print (millennials and younger generations probably aren’t sure what “in print” means) heralding the new cars and how one could also get a great deal on “last year’s” cars. While I am an over-the-top car aficionado I don’t really follow the beginning of the new model year very much. I am also under the impression that no coordinated effort exists among automobile manufacturers to begin selling new model year cars at about the same time. I do know that one can find great bargains on cars if one is willing to wait and to take the chance that the car they want will still be available. 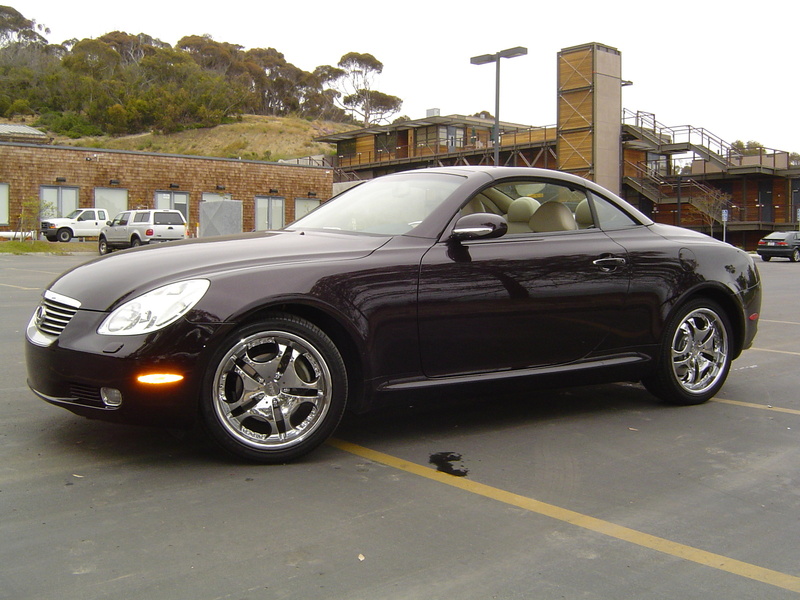 From momentcar.com a picture of a 2006 Lexus SC 430. My wonderful wife owned one of these for six years and it never gave her one day of trouble unlike the car it replaced. I know that Jeremy Clarkson, Richard Hammond and James May named the SC 430 the worst car in history on Top Gear, but I believe that was as much a statement about what Lexus represents to them as it is about the car. For what it’s worth, Clarkson also called the Lexus LFA the best car he had ever driven. Anyway…my wonderful wife was looking to replace her lovely but unreliable Jaguar XK-8 convertible. She must have test driven six or eight different cars. Finally, in March of 2007 I suggested she look at Lexus. She said that Lexus didn’t offer a convertible to which I replied they most certainly did. Then she worried that she would like an SC 430 without navigation; I assured her they all had nav. (OK, get to your point about new cars and timing their purchase. OK, give me some leeway. Online conversations with yourself can’t be a sign of mental stability, can they?) She announced that she would not take one for a test drive (because the SC 430 was “outside” of her budget), but would reluctantly accompany me to our local Lexus dealer. After finally finding a salesman he showed her a new 2006 SC 430 (even though this was March, 2007) for a few minutes and then asked if she wanted to take a test drive. To my surprise she quickly answered “Yes.” Suffice to say that after five minutes she was totally hooked on the smooth ride and decent acceleration. My wonderful wife got lucky in that the car on the lot she really wanted was marked as sold, but when we returned a couple of days later the buyer had changed her mind. The point…given this was March of 2007 and she was buying a brand new 2006 model the dealer really discounted the car from MSRP. If she had tried to purchase the car in August of 2006 she would have paid thousands more for the car no matter how good my negotiating skills are. Negotiations are about leverage and/or the perception of leverage. How does that saying go? “It pays to wait.” How about, “Anything worth having is worth waiting for.” At my age I don’t have much patience; I probably never did, but I sure have less now. However, it paid for my wonderful wife to wait and to find a car she liked. Serendipitously she saved real money AND found a good car. I am grateful that the number of page views and comments has increased in recent days. I am still asking for the sale, though. If you like this blog please tell others about it and share the blog URL (https://disaffectedmusings.com). Many thanks. It’s also more than okay if you want to post thoughtful comments. One thousand weeks ago today my wonderful wife and I married. V Squared, I love you more than you will ever know! In 1962, Oldsmobile became the first US manufacturer to offer a turbocharged engine in a production vehicle, the F-85 Starfire. Oldsmobile kept the stock compression ratio, added a wastegate to relieve pressure in the system and used something called “Turbo-Rocket” fluid to keep the engine from premature detonation from an over-heated intake charge. What was in the “Turbo-Rocket” fluid? It was just a mix of water and alcohol. 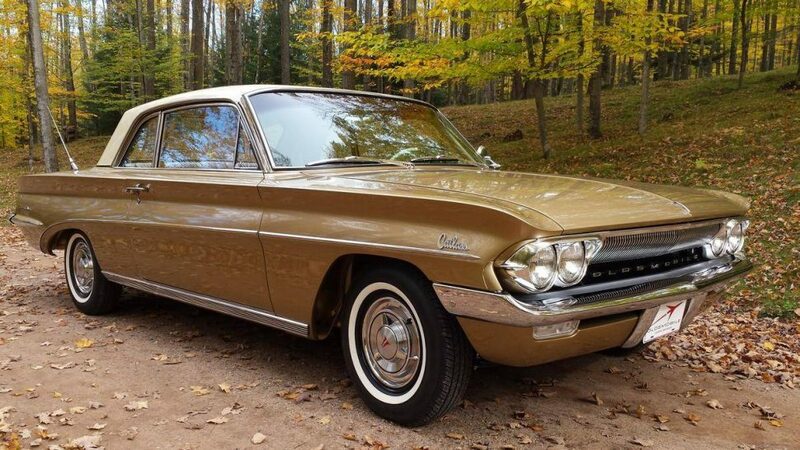 From memory, I think Oldsmobile sold about 9,000 Jetfires in 1962-63, but the car didn’t catch on as it wasn’t anywhere near as reliable as modern turbocharger systems. Oh…the engine was a small displacement (215 cubic inches) V-8. I mean this car just pushes all of my buttons. The decline of General Motors is a story that really can’t be written in a thousand pages. Foreign competition was, of course, a big part of the story, but GM’s own smugness and inexplicable decision to remove significant differences among the divisions in order to be “more efficient” is as good a summary as I can muster given the constraints of a blog post. My wonderful wife and I attend a lot of car shows; we attended one today, in fact. We never see any Oldsmobiles except at the big annual car show held by a local museum. Oldsmobile existed from 1897 to 2004 and manufactured over 35 million vehicles. The company should not be forgotten.